← The Wildlife Art Museum of Australia will be an Australian first. Some people somehow manage not to see the beauty and complexity in ‘dry scrub country’. Just drive through on the way to somewhere! Now the beauty and grandeur of a sunset most can appreciate but with a little more curiosity and searching eye the ‘dead’ country comes to life. Little jewels like pardalotes can be difficult to find in the upper branches of the taller trees in higher rainfall areas. 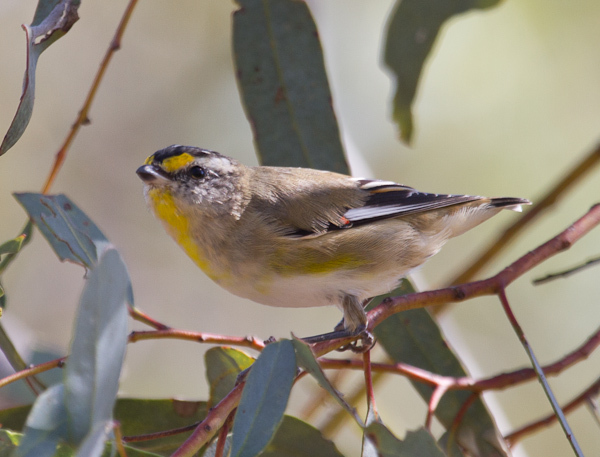 I the short Mallee Scrub however this Striated Pardalote and I came eye to eye. Spotted Sand-Dragons (My best guess) scuttle around. This one approximately 19cm long. Flocks of White-browed Woodswallows rest in the top branches briefly before joining hundreds of others wheeling overhead. 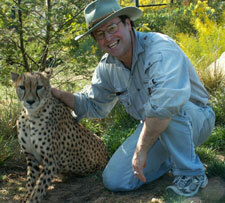 The endless variety of flowers, reptiles, birds and mammals can keep you enthralled for days. Sunrises and sunsets a stunning beginning and end to each day and star filled night sky’s in between. Mungo Dunes as the sun sets. Collen and I took a tour around the Willandra Lakes World Heritage area in Mungo National Park. Human occupation for over 40,000 years. Our aboriginal guides pointed out a fireplace that had emerged from the sand- carbon dated at over 7000 years. This entry was posted in Mungo National Park, Wildlife and tagged Dragon, Mungo, Pardalote, Sunset. Bookmark the permalink.